Drumming is one of the most primitive forms of music making and drum circles have been used throughout the ages and around the world for ceremonial purposes, celebrations, communications, and healing. Hand drumming is rapidly becoming a more common pastime for all types of people in Western society. Group drumming has significant health benefits including boosting the immune system, lowering blood pressure, reducing stress, and promoting relaxation. It’s no surprise that drumming is being used in therapeutic settings all over the world—and it’s fun too! An introduction to the most common types of drums and percussion instruments used in Western drum circles. How to choose and find the right instruments for you and your practice. Learn some universal rhythms, drum games, and some basic facilitation skills. Workshop concludes with a drum circle with all participants. Ossie Mair, LMFT, is an instructor with UCLArts and Healing, and a counselor for the Cedars Sinai Psychological Trauma Center’s LAUSD-based Share & Care Program. He uses drumming in addiction and rehabilitation facilities in Los Angeles, CA and facilitates drum circles and sound baths at the REMO Recreational Music Center in North Hollywood. 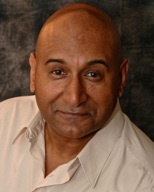 Visit Ohm Rhythm Circles and Om Therapist to learn more about Ossie and his work.